With the OxLife Independence portable oxygenconcentrator you have the Independence to live your life and come and go as you please. No worrying about running out or waiting for the delivery truck. 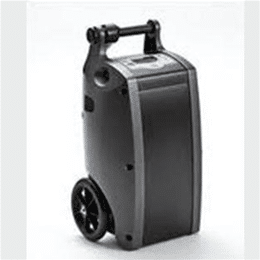 The Oxlife Independence is one of the smallest and lightest dual portable oxygen concentrators. The Independence has continuous flow to 3LPM. 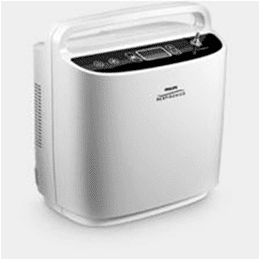 This is the continuous oxygen supply as a stationary home unit. 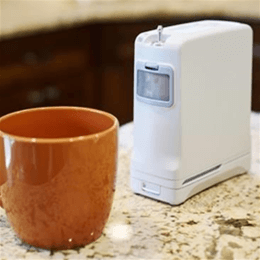 The Independence is as small as a coffee maker and weighs only 14.85 pounds. It is small and convenient and never needs a refill. The Independence also features pulse dose delivery to 6 LPM equivalent and up to 30 breaths per minute. You can run the Independence on battery, 12 volt auto/boat, and home power from 100-240 volts 50/60 HZ. 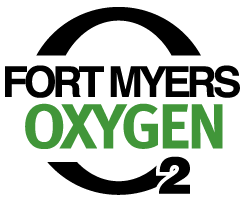 A single solution for your oxygen needs at home or away. Every OxLife Independence is manufactured to the highest quality standard (ISO 13485) and are run and rechecked prior to shipping. The Independence also features easy maintenance; just wipe off perforated intake vent. No filter to clean or buy. The Independence can actually be carried over the shoulder or use the convenient roller cart with telescoping handle and smooth rolling wheels. With the OxLife Independence portable oxygen concentrator you have the Independence to live your life and come and go as you please. No worrying about running out or waiting for the delivery truck. 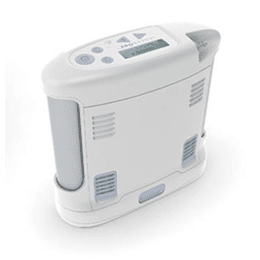 The Oxlife Independence is one of the smallest and lightest dual portable oxygen concentrators. The Independence has continuous flow to 3LPM. This is the continuous oxygen supply as a stationary home unit. The Independence is as small as a coffee maker and weighs only 14.85 pounds. It is small and convenient and never needs a refill.